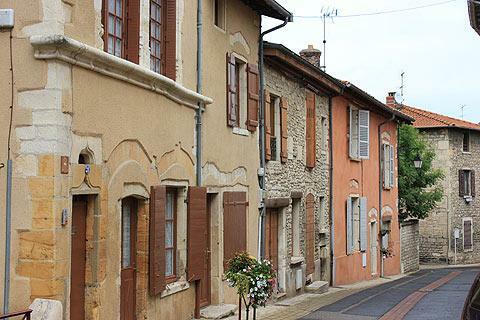 Anse is a quiet town in the Rhone department, 29 kilometres north of Lyon. 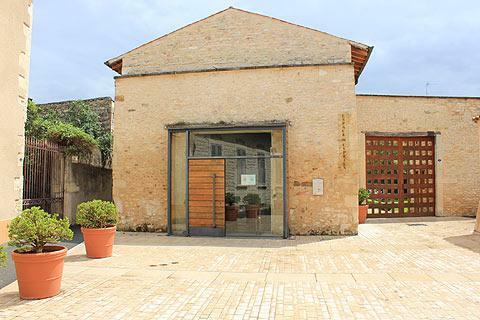 It was an important town in Gallo-Roman times and there are still a number of buildings which testify to its important past. 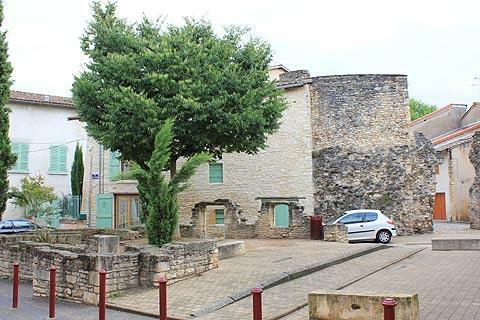 Anse has a number of defensive buildings due to the key position it once held on the route between Lyon and Macon. 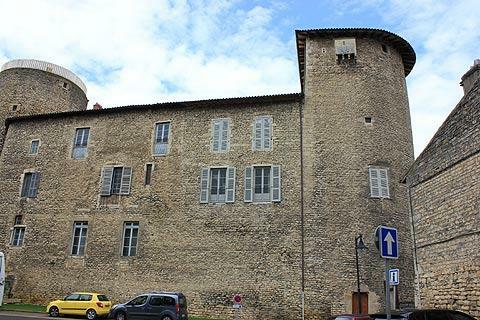 One of these is the Chateau des Tours, a 13th century castle which now houses a small museum of archeology. This has a wonderful Gallo Roman mosaic floor. The castle has a round keep and a semi-circular tower and a rectangular building linking the two. 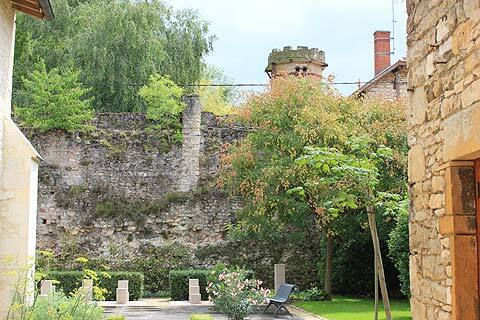 There are various remaining parts of the original Gallo Roman ramparts in the town as well as the Castrum Tower which is one of seven towers built in Anse by the Romans. The mairie has a Gallo-Roman floor which was discovered in 1864. The medieval old town of Anse is partly within the original Gallo-Roman Castrum. Buildings here include 15th century houses and a communal bread oven. 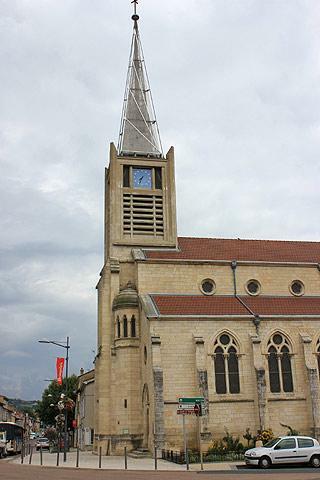 The Chapel of St Cyprien is one of the oldest churches in France. Written records of the 13th century mention the chapel but its foundations are a lot older than this, and examination of the walls reveals a 'fishbone' pattern of construction which was popular in Roman times. Church services stopped here during the 17th century and are now held in the church of Saint-Pierre. There is also a small museum in Anse dedicated to the first world war, with rooms containing artefacts from the period 1914-1918 as well as anecdotes and information about some of the major battles. The museum has quite restricted opening hours and visits are only by reservation: see www.ecobeauval.com for details. If you are visiting Anse during the hot summer period you can take the tiny narrow gauge train - Le Petit Train- to the local lake where you can enjoy a number of water sports. The region around Anse is known as the 'Pierres Dorées' region, the 'Golden Stone' region, due to the lovely golden yellow stone used for building in the area. Anse is of course in the Beaujolais wine region of France and so a visit to some of the local vineyards for a spot of winetasting is almost obligatory! Another town near to Anse is Trevoux, a few kilometres to the east, and you will enjoy an excursion to explore the villages west of here such as Oingt, Theize and Bagnols. You can find more local travel ideas in the Rhone guide and the Rhone-Alpes guide.